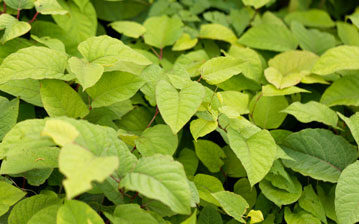 Japanese knotweed can be a real pain if you are unlucky enough to have it on your premises. Whether it is the garden of your own home, growing on your commercial premises or even in locations like building sites, there is a real need to get rid of it effectively. The key thing here is to call out the professionals! Here at Kleerkut, we are specialists in the safe and efficient removal / eradication of Japanese knotweed in Glasgow. It is essential to use a specialist removal service like us – trying to do it yourself will only make the problem worse. 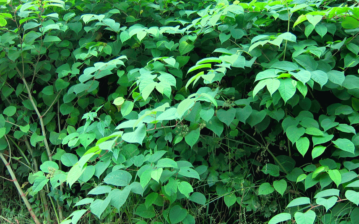 What is Japanese knotweed and why is it so serious? 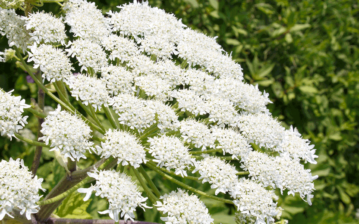 If you think you have this highly invasive species of plant on your property, then you may wonder what it is and what all the fuss is about. Non-native to the UK, Japanese knotweed is a persistent and aggressive plant that can grow through masonry, concrete and tar. A member of the Dock family, it can reach up to 3 metres high above ground when fully grown and have a root network 3 metres deep and 7 metres across underground. It is this underground growth that makes it such a serious problem to be dealt with by experts. If the plant is too close to your home or commercial property, then the roots can spread to block drains or watercourses. Naturally, this sort of growth could also see damage to the foundations of the building. Most insurers refuse to cover you for damage resulting from Japanese knotweed. This makes taking the correct steps to get rid of it vital if you spot it. If you think you have a problem with Japanese knotweed in Glasgow, then do not delay. Get in touch with our professional team today on 0141 319 8210 for free, impartial advice. We will be able to provide an affordable eradication process for this invasive pest and make sure that it is dealt with properly, for good. A raft of legislation in Scotland covers the management of Japanese knotweed – make sure you call us so we can remove it properly, according to the law.